The band were born on rainy Black Country November weekend in 2017 when front man/guitar player David Foster and guitar player/singer Adam Beddow decided they wanted to create a new band. Moving forward from what had gone before, their aim was to try and find 2 other like minded, talented individuals to forge a special and unique musical bond. The pair had played in bands together for a number of years previously and shared relative success. They moved quickly to recruit the talents of Geoff Fry on the drums and Adam Furmage to play bass. The new aquisitions had a depth of talent and experience of their own. Like many bands the four individuals played a number of studio nights and recording sessions getting to know one and other, but It was only after their first local live performance as a team did the 4 members come off that stage instantly knowing they had found the right blend of ‘X’ and ‘Y’ to believe Dead Agents was destined to take them on a very special journey. One that they want their listeners and fans to share with them. The name Dead Agents came about after a suggestion from Adam. After reading an article about how Scientologists ‘dead agent’ their critics, attempting to discredit those who speak out about them. He thought it was a cool turn of phrase and it stuck in his head as a good name. When it came time to give an identity to the band, all agreed the name Dead Agents had a good feel to it. The band liked the way the phrase painted an image of being outsiders not afraid to say their thoughts. The band, keen to utilise the knowledge gained from their individual past experiences, have been working hard and putting their skills to the test by creating the latest portfolio of material. With catchy riffs and solid sounds the band aim to write a blend of radioplay with Saturday night rock out arena anthems. The band have tested and performed this single at their recent live performances. It’s clearly going down impressively with audiences on the live scene and looks to become a regular fan favourite. The track was produced in VIGO studios, Walsall. 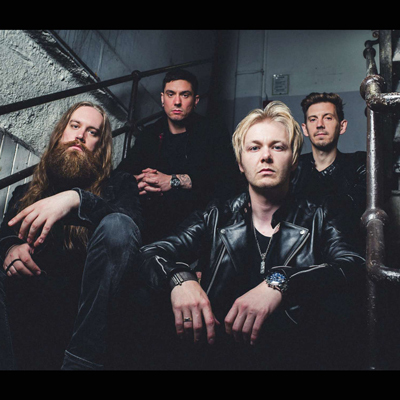 “Aimless Careless” follows in the footsteps of their critically acclaimed debut EP “Dead Agents” released in 2018. This track is another landmark in Dead Agents story to bolster their growing reputation. Hailing from the West Midlands, Dead agents are the "lost boys" of Alternative Rock. The Band are Geoff Fry (Drummer), Adam Furmage (Bass, Backing Vocals), David James Foster (Lead Vocals, Rhythm Guitar) and Adam Beddow (Lead Guitar, Backing Vocals). Dave and Adam have performed multiple times at Download Festival, Sonisphere and toured the UK and Europe with the likes of Stone Sour, The Wildhearts and the Kerrang Tour. Geoff was chosen to represent the UK at the The Roland V-drum World Championships held at Frankfurt Music Festival and has since performed in clinic tours alongside Craig Blundell (Frost), Ryan Jenkins (Reverend and the Makers) and Kaz Rodriguez (Jessie Ware). Adam Furmage has supported the likes of Young Guns, Deaf Havana, Bury Tomorrow, and Don Broco. 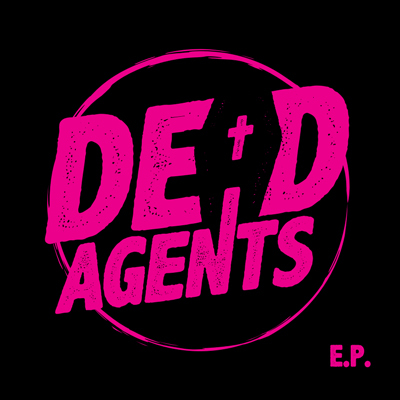 Dead Agents released their self titled EP, ‘Dead Agents’, on the 27th April. The EP was all recorded at the bands recording studio "Vigo Studios" in the West Midlands and was produced and mixed by the bands guitarist Adam Beddow. Adam's previous production credits include the likes of Diamond Head and The Bad Flowers, its no surprise that Adam once again created a monster sound. Already gaining Radio airplay and much a claim the E.P. is available on Spotify, I-Tunes, Apple Music Deezer and many more.